Cosmetic all-Porcelain Crowns with natural translucency and bleaching for "celebrity-white teeth". 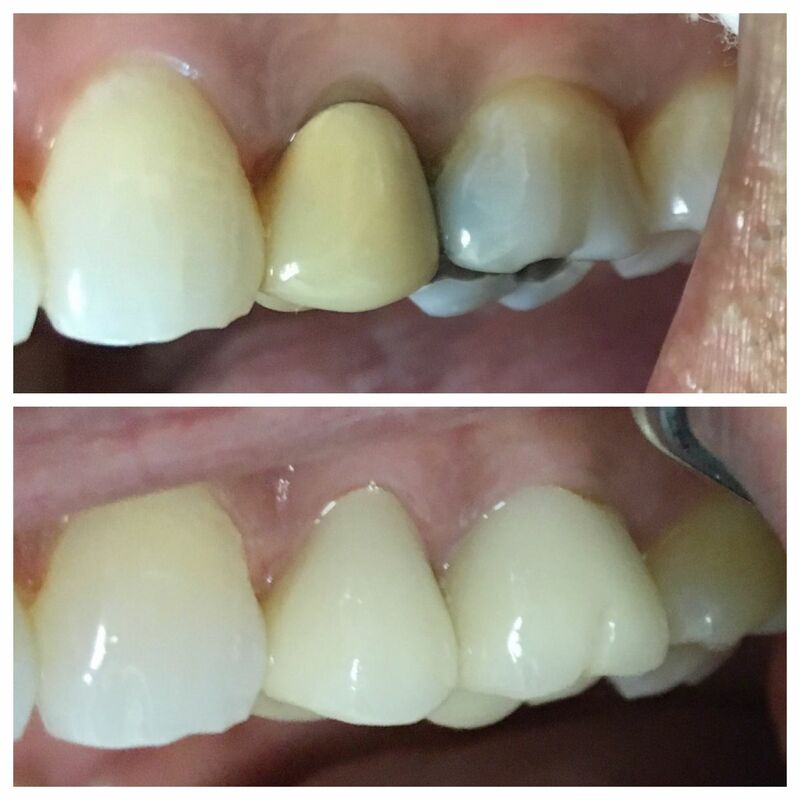 Porcelain crown on front left tooth and white-colored bonded fillings to replace old, yellow fillings. 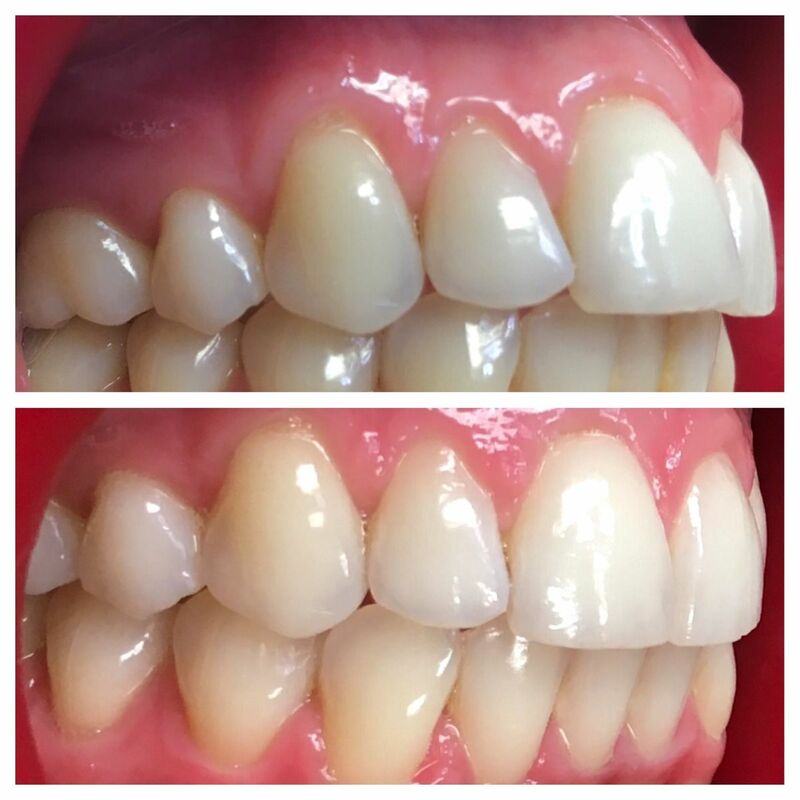 Porcelain crowns done to replace leaking/failing veneers and improve shape and appearance of front teeth. ClearCorrect orthodontic aligners done to (a) correct misaligned and crooked teeth and overbite and (b) close spaces between teeth and correct overbite.